The sound of walking in a Mexican canyon transforms into the distinct beat of the heart, distant chants, sticks, stones, and the whistle of blowing wind: The Peyote Dance, a new album by Soundwalk Collective with Patti Smith, produced in collaboration with Leonardo Heiblum and Nicolas Becker, out 31st May via Bella Union, is a soundtrack of elements that invites us to explore a sacred space. 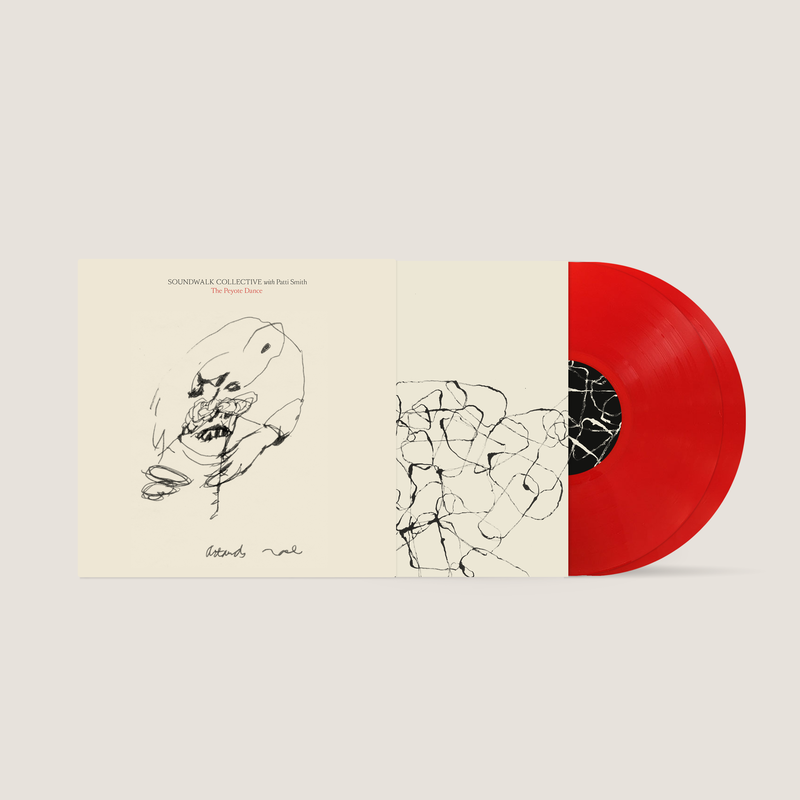 The album takes as its starting point Antonin Artaud’s book The Peyote Dance, a work inspired by his revelatory experiences with the Rarámuri in 1936. Gael Garcia Bernal, evokes. Artaud was drawn to the story of the Rarámuri: Native Indian people who live in the Norogachi region of Mexico’s Copper Canyon, the Sierra Tarahumara. One of Artaud’s goals was to find a peyote shaman who could heal him; allowing him to recover from an opioid addiction. During his stay, encountering the Rarámuri Indians and peyote shamans of Tarahumara, and engaging in ceremonies, Artaud had a transcendental experience which resulted in the book The Peyote Dance. 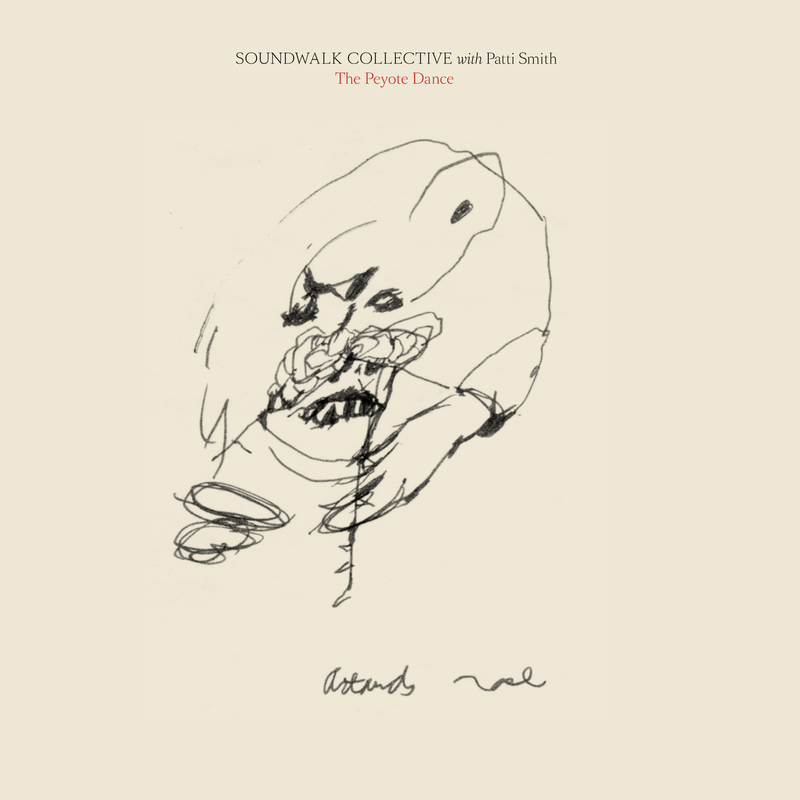 For the eponymous album, Soundwalk Collective and Patti Smith revisited writings from the book, and others texts written after Artaud’s return to France, where he remained in a mental asylum in Rodez undergoing electric shock therapy. During this dark period, the encounter with the Rarámuri stayed with him as his last significant, happy experience. The penultimate track on the album is a poem written by Patti Smith in homage to Artaud’s last hours in Ivry. Listening, reading and improvising to the tracks in the New York studio allowed Smith to channel Artaud's spirit. “The poets enter the bloodstream, they enter the cells. For a moment, one is Artaud,” Smith says of becoming a conduit for the poet to speak through her, echoing the raw energy of the early punk scene. “You can’t ask for it, you can’t buy it, you can’t take drugs for it to be authentic. It just has to happen, you have to be chosen as well as choose.” The energy of his last poems reverberates and cannot be silenced, Smith says of The Peyote Dance. “We understand that this work and the artist are not dead, they find life in recording them.” The enduring power of Artaud’s text lies in its uncomfortable nature: 80 years after it has been written, it remains a disturbing, raw, explosive and trance-like chronicle of what it is to be alive.